A man was struck and killed by a Metra train Wednesday afternoon in west suburban Riverside, causing significant delays and leading officials to close Unions Station to commuters for about an hour due to overcrowding. The man was struck about 2:50 p.m. just west of the Riverside station by outbound BNSF train 1235, according to Metra spokeswoman Meg Reile and Riverside Police Chief Tom Weitzel. The train left Chicago about 2:30 p.m. and was running express to Downers Grove, where it was scheduled to arrive at 2:53 p.m. It was not scheduled to stop at Riverside. Weitzel said detectives found an unattended backpack on the platform of the station, which contained an apparent suicide note. The backpack did not contain the man’s identification and authorities were still working to contact his family. The first calls to police reported a teenage boy had been struck by a rock, Weitzel said. 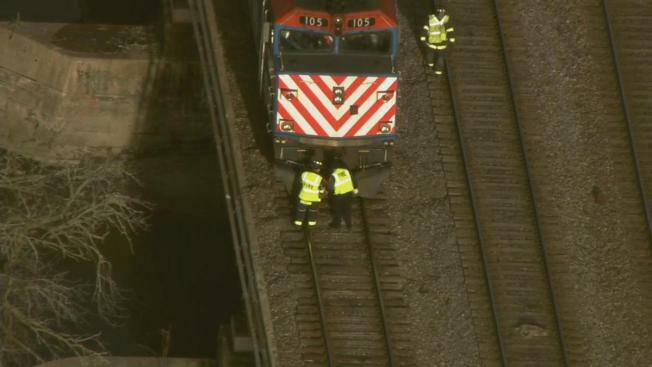 The 16-year-old Naperville boy was found on the platform and had been struck in the head by a rock as the train passed through the station. He was treated and released to his parents. Weitzel said the rock might have been kicked up by the train when the man was struck. Union Station was back open as of 5:30 p.m., according to a service alert. The transit agency had closed the station to BNSF riders ahead of the evening commute over concerns of overcrowding on the station’s platforms. Multiple BNSF trains were canceled Wednesday night and those operating were significantly delayed. Train 1267 was operating with an 11 minute delay when it left the station shortly after 5:20 p.m.
Police said the Riverside station and crossing were expected to reopen by 5:45 p.m.